Welcome to “ The 501” . Located in the heart of Yaletown and steps to the seawall. This well-layout and functional 1 bedroom unit features many updates, including: Custom kitchen with marble countertops and backsplash, newer fixtures, and stainless steel appliances. There is also a full slate tile bathroom with walk-in glass shower. This view condo features a gas fireplace and wood flooring. Corridor views over False Creek and high city skyline views through the floor to ceiling windows in all rooms. Hotel style amenities including gym, sauna, indoor-outdoor swimming pool, party room, guest suites, and beach volleyball court. 1 Parking underground. View my new listing for sale at 402 - 1529 W 6th Avenue, Vancouver and currently listed at $849,000. Architectural Loft at “Wsix” or “South Granville Lofts,” a live/work concrete and steel courtyard style building. 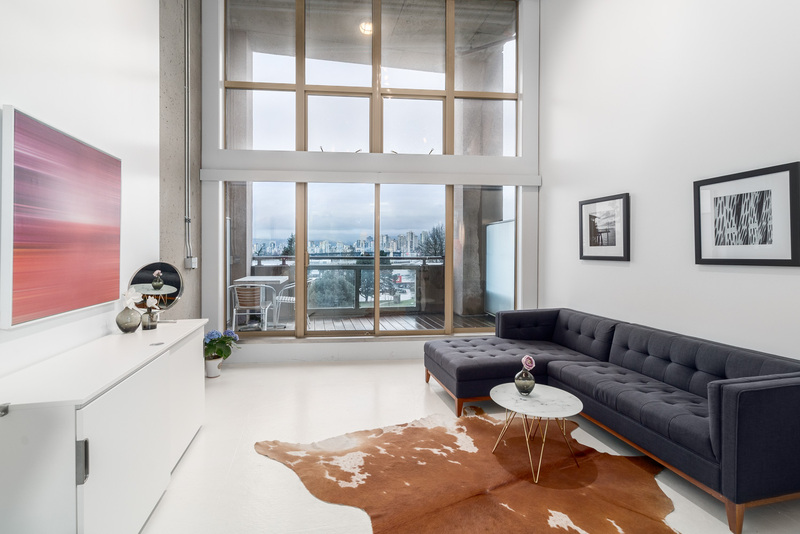 This unique customized two level loft features beautiful views towards the Downtown Vancouver skyline and the North Shore Mountains. Inside this loft is a designers delight featuring: concrete floors, 16’ ceilings in the living room, power blinds, a German kitchen with Eggersman cabinets from Germany, black granite, Bloomberg appliances, and a classical style SMEG fridge. A beautiful composition of a modernist finishings inside an industrial inspired concrete and steel canvas. This suite has had many customizations including a modern minimalist bathroom with walk-in shower, custom cabinetry, with stone counters/flooring/walls. The is plenty of opportunity to an operative work space and studio style living with its duel zoning and ideal layout. 1 parking, 1 storage and rentals allowed.